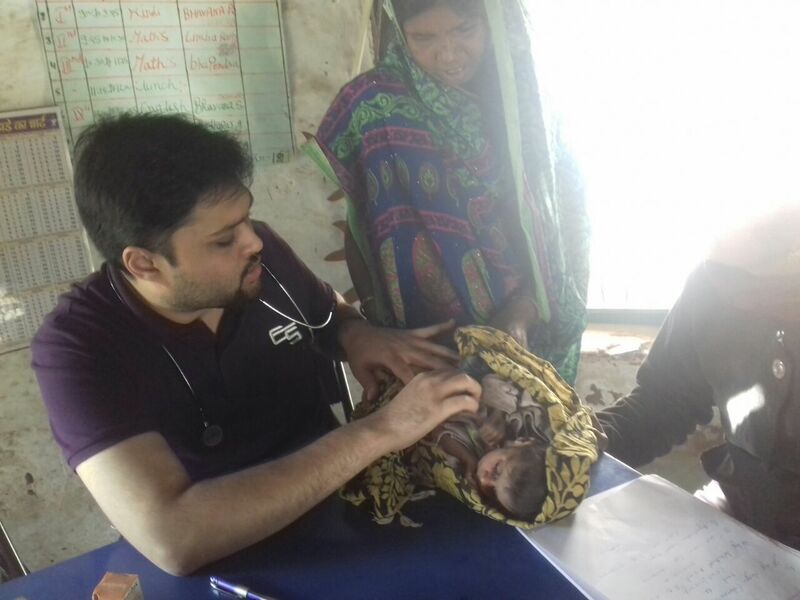 The annual health check-up is done for all the children at Hunar Ghar to ensure general health and adequate nutrition. In the first round of the check-up held on December 8th and 9th, some 70 children had missed the health consultation. A second round was facilitated by the health team to ensure that maximum number of students undergo the screening. 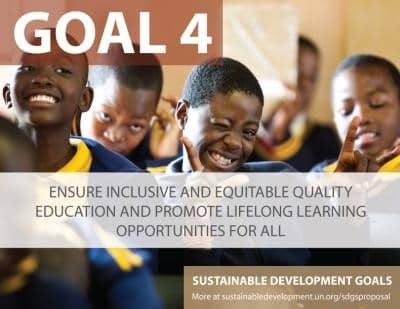 Can we ensure inclusive and quality education for all by 2030? Ah, it’s that time of year again. The cold weather is retreating, tulips appearing in the shops, snowdrops in the woodland, and I’m posting blogs with titles depicting a very few number of days until I get to India again. Being February time, it also means that Educate for Life is due for one if its biannual shifts in understanding and/or approach. We never plan for it to be this way, but it seems to have worked out that way. Probably largely because it is only really twice a year, if we are luck, that Ash and I are out at Hunar Ghar together. I [Ash] feel a quality education in the broadest sense is one that enables people to fulfill their potentials. However, I think there is a problem that we face with this idealised definition- it is unattainable for most schools, most children and most teachers. It’s difficult to explain, but I feel this results in a polarisation of educational practices in India. The best schools and most prominent advocates will talk of education in this idealised sense & suggest a quality education is highly contextual- it responds to the needs of the children and the major problem with education at the moment is its systematised and regimented form. While I broadly agree, this means that for those of us that aren’t part of an elite schooling, don’t have time, understanding, capacity, resources or support to respond to individual needs there are few options out there- there is little middle ground. You will either find idealists- isolated and highly critical, or hopeless government style schooling- demoralised, regimented and with no way of attaining what the idealists want etc. I think that Hunar Ghar’s role in creating a quality education is to explore this middle ground. I do not believe that everything is contextual. A lot is built into structures and systems (curriculum, the way teachers are trained, where they are recruited from, materials they can use, how communities are involved) – these are things that can be changed on a large scale & reasonably quickly, but there is a real lack of sincere dialogue about how this can be done. Hunar Ghar is place for experimenting and coming up with reasonable suggestions and then hopefully over time providing support, advice and policy pressure to see some of these changes realised. I’m not sure how much sense that quote makes when isolated from the school and education debate, but essentially a lot of innovative informal schools in India a big critics of government education and tend to shun it in their attempts to create better learning opportunities. This can indeed create fantastic schools, but they are isolated and generate limited external benefit. (That is a bit simplistic; they seed all sorts of ideas and possibilities, create a national alternative education culture and open many eyes to different ways of learning.) Rather than trying to develop a competing learning system to the government one, we should be infiltrating the existing system as much as possible and advocating its change, based on substantiated knowledge and experience learned at places like Hunar Ghar. This has two benefits. One, it improves to lot of children with no option but government schooling, two, it further readies society to be more receptive and responsive to alternative learning methods, thus facilitating those that want to pioneer better independent schools. So if we can do mediocre really really well, then it is probably more useful than doing amazing really really well. Some people like to describe the evils of the modern world, capitalism and industrial education, all masterminded by the rich elite to proactively keep the poor poor, I’m sure I’ve been guilty of this. No doubt there are powerful people that exploit others, but I think it is a bit simplistic to write everything off as evil. Yes, India’s current national education system was designed in Victorian times to create god workers, not happy, productive responsible individuals, and No, it hasn’t been updated significantly since then. But to say that the system is like that in order to create the worker class is probably narrow-minded; that may be the result, but the majority of people just get on with what has always been done, people who are products of that system and so have limit capacity to motivate or effect it, and so it becomes self fulfillingly polarising to society. What this means for us is that if we can demonstrate better ways of teaching children, can engage with the right people and wade through the bureaucracy, we can implement the system in better ways. India is currently desperate to educate the masses – part of the reason China is doing so well is because of the mass education schemes undertaken by Mao in the 60s. India missed that, and is subsequently behind. Don’t get me wrong, I’m not advocating educating India in order to compete with China, but there is a demand for rapid education and informal self-learning is more efficient, so it will be considered if it is plausible. If the government’s motivation is growth and a by-product of that desire is that people get an education that is more self-fulfilling, relevant and creates, not displaces opportunity, then I think it is probably a good thing.